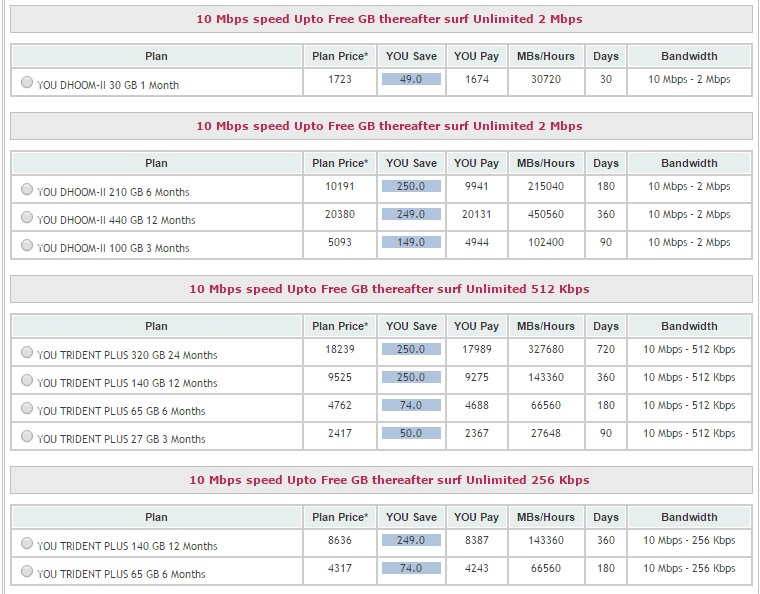 I have used YOU broadband service for more than a year. Currently, I moved to hathway due to service issue and time taken to rectify the issue was very long. Still here I will mention the all the pros and cons of YOU broadband as internet service provider. The plans are good and very competitive to sustain in the market. It has very wide ranges of plans. All plans are more or less similar and planned according to different customer need. So here you have the wide range of selection for the plans. 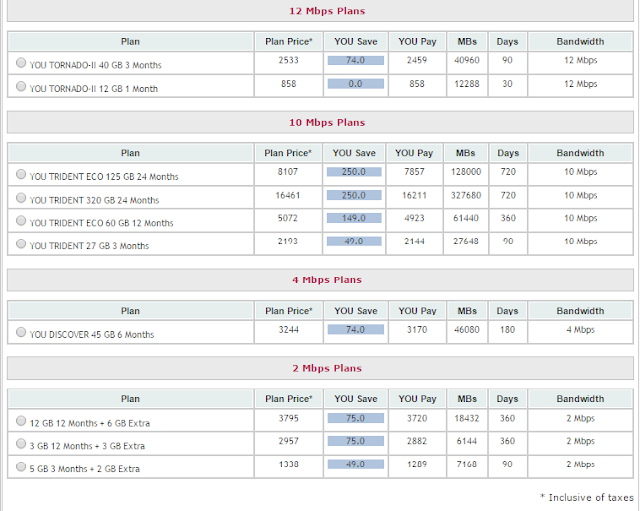 If you opt for 3 months plan initially then they will charge for the installation. Installation charge of 500 rs is applicable is you recharge with less than 3 months. They will not provide you the WiFi router, you need to purchase it. Generally modem will be placed outside the house. Initially, they told they have power backup for the modem so you can use it sometimes if electricity is not available also. But I found there is no power backup for modem and it will not work if electricity is not available. Customer care people are soft spoken tries to not commit any wrong. But technician were either fully loaded with work or not able to complete to complete the work in defined time frame to solve the issue due to some reason. 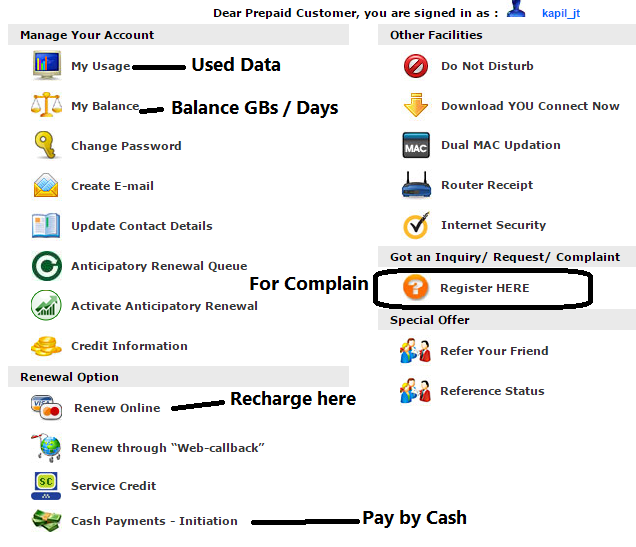 They will call you 2/3 days before the renewal date to recharge your account. I like this kind approach to adding the value to the customer. I have used this plan for around more than a year period of time. 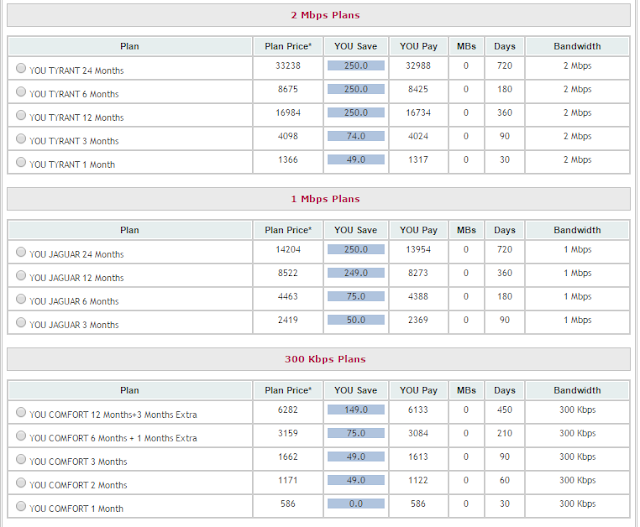 The plan is good according to money paid and speed given for the internet. I would suggest going with YOUFREEDOM Plan for 1 month with 22GB of data. I have used it as monthly usage is around 20GB – 25GB. You broadband has high-speed plans with can satisfied the plan for corporate and cyber café as well. They can provide you high-speed data with more than 60MBPS of speed as well. Highest speed available is 100 Mbps. 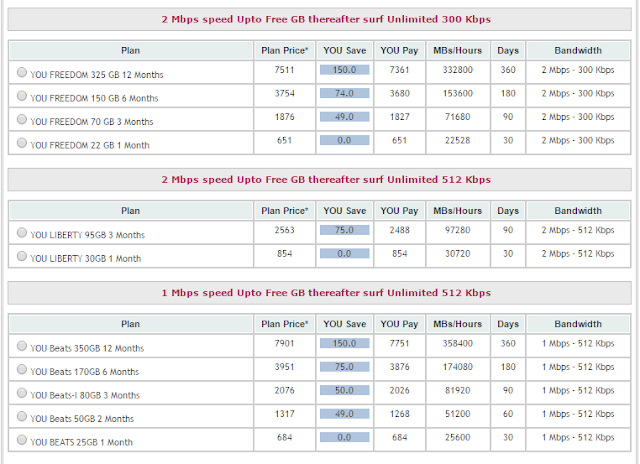 And lowest is 512 kbps. 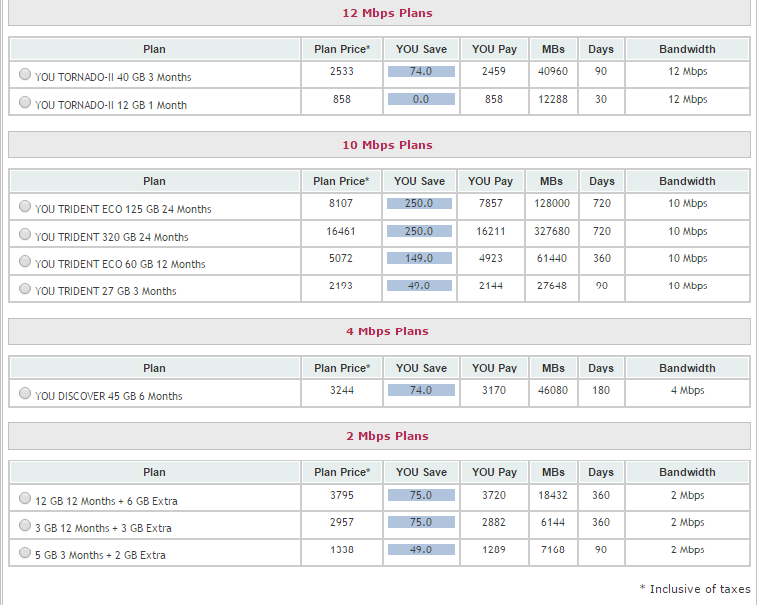 I think a youbroad band can beat the ACT broadband as well if they focus on service and customer satisfaction. Low-speed plans are also attractive for personal home usage. You can have the plan of 1 Mbps or 2 Mbps with required data according to your usage. Unused data you can carry forward to next month also. It will laps and available with you in many of the plans. 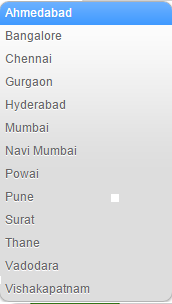 You broadband services are available in the following location in India. They have the problem in the service. You can find the fiber issue one or twice in a month. Sometimes it will take more than 2/3 days even. During those time, it is difficult, as you cannot do your work without the internet. You cannot pay your bills and all other stuff will be pending. Else you need to do it from your workplace. Though for such issue they will provide you service credit, means they will give extra days as compensation of non-working days. But such things will reduce your pain. If you end up with your usage limit. Then you can recharge and activate the Anticipatory Renewal. For example, you have 30GB for a month (with 2MBPS speed), and if you already used that data in say 20 days. So now according to your plan either you either data or you may have speed restriction to use the data. If you renew the account with again 30GB then direct it will start working. But you need to activate the anticipatory renewal to agree that I don’t want to use the remaining period with low speed. To complain about the internet problem to the youbroad band is easy. You just need to log in to the site with your credential and select the Complain/Inquiry/Request Option. Generally they will respond you within a day period of time. But for a critical issue I think they don’t have such extensive high-tech equipment or man power. Due to that user is going to suffer. You can use the YouBroadband Mobile App as well to renew and complain. The application is not many users friendly and attractive, but at least you can manage your work. It is required to do the configuration at the time while using the internet. You need to remember the WiFi router password if you find issue with WiFi connection. So I will suggest you to this configuration, so you will face the issue at the latter stage.